There are three lists of such charismata or gifts of God in the New Testament letters. The first two are to be found in Rom 12: 6-9 and Eph 4: 7-14. However the best known is outlined in 1 Cor 12: 7-12. It mentions nine gifts, wisdom, knowledge, faith, healing, miracles, prophecy, discernment of spirits, tongues and interpretation of tongues. Scripture scholars point out that the list is not exclusive. There are many other charisms which are not mentioned, such as the gifts of celibacy, tears, visions etc. All of the charisms are rooted in love, express love and aim to build up that same love in the Christian community, which is the Body of Christ. Indeed the worthwhileness of a particular gift can be determined by its ability to edify in this way. That is why St. Paul can say in 1 Cor. 14: 4 that the gift of prophecy (i.e. the ability to speak in an inspiring way on God’s behalf), is more important than the gift of tongues. While the former can build up the community, the latter can only build up the individual who prays in this way. The charisms can be grouped in accordance with their purpose. The word gifts of wisdom, knowledge, prophecy, preaching and teaching, are needed to proclaim the good news which assures us that God’s justice is on hold until judgement day. Meantime we sinners live in the age of God’s unrestricted and unconditional mercy and love. So if we look only into the eyes of God’s mercy, expecting only mercy, we will receive only mercy, now and at the hour of our death. Gifts of power including healing, miracles and exorcism are the good news in action, demonstrating the truth of the gospel proclamation in a remarkable and liberating way. Then there are service gifts such as pastoral care, alms giving, leadership and administration. They too demonstrate the good news of God’s mercy and love, while expressing its practical implications in everyday life. Finally, there are the prayer gifts such as the power to intercede or sing in tongues, to be filled and guided by the Spirit, and to contemplate and worship God from the heart. Grace comes to us not only through sacraments and clerical ministry, but also through the charisms mentioned in 1 Cor 12. The Holy Spirit distributes ordinary and extraordinary gifts among lay people as well as priests. These gifts are given to build up the Church and to develop people. These gifts are to be received with gratitude and consolation. The laity have a right to exercise their gifts and ministries. This right comes from their baptism and not from the clergy. Lay people have a duty to use their gifts for the good of the Church and the world. Bishops and clergy should test the gifts to ensure that they are genuine. However, they should not quench the Spirit by an arbitrary use of authority. So lay people are no longer supposed to be the passive recipients of clerical ministry. Rather, they are called and gifted to become active partners with the clergy in bringing the Good News into every aspect of secular life. The charisms can be used to revive the faith of the discouraged and lapsed and to evangelize unbelievers. They also have an important ecumenical dimension. The outpouring of the Spirit has been no respecter of denominational barriers. Happily, the gifts of the Spirit have been poured out on members of all the Churches. Through their common exercise, Christians are being drawn closer to Jesus and therefore to one another. So charisms have a unique ability to build bridges of unity, as I discovered when I lived in Northern Ireland for ten years. 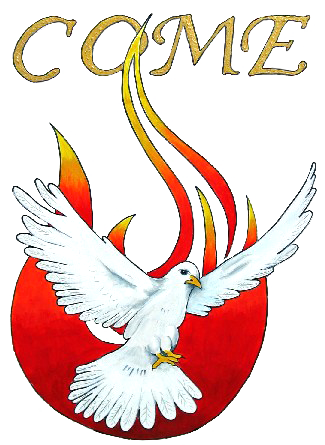 The Catholic Charismatic Renewal has a number of different dimensions. 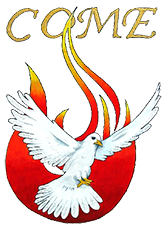 One is the renewal of the Church so that it is more aware of the role and gifts of the Holy Spirit to help build up the Church. Another, and even more important dimension is on the personal level. The renewal calls you and me to grow spiritually on a very personal level. It challenges you and me to learn more about the Holy Spirit, about the Gifts and about how you can seek them and then to expect them to be active in your own life. Prayer Groups that meet regularly to help each participant grow in the Spirit. Praying for others using the Charisms. Schools on different Charisms such as Healing.